A MAN DIED onboard a flight diverted to Shannon yesterday afternoon. 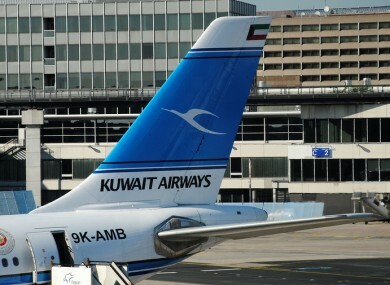 The Kuwait Airways flight – travelling from Kuwait to New York’s JFK airport – made an emergency landing at Shannon just before 2pm. Emergency services attended the scene when the plane landed, but the man had been pronounced dead. His remains were removed to Limerick University Hospital where a post mortem will be carried out. Shannon Airport has seen a large volume of unscheduled landings in recent days. Yesterday a Miami to London flight was diverted after a passenger became seriously ill onboard. On Christmas Day a 10-year-old girl died after falling ill on a Toronto to London flight. A fundraising effort by the family to bring the girl, Young Madra, home from Ireland has so far raised more than €30,000. Email “Man dies after emergency landing at Shannon Airport”. Feedback on “Man dies after emergency landing at Shannon Airport”.